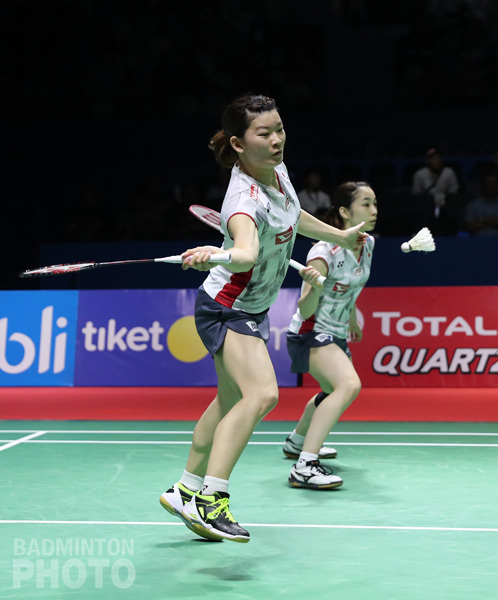 ﻿ ASIAN GAMES 2018 Women’s Doubles Preview – Japanese empresses to reign supreme? 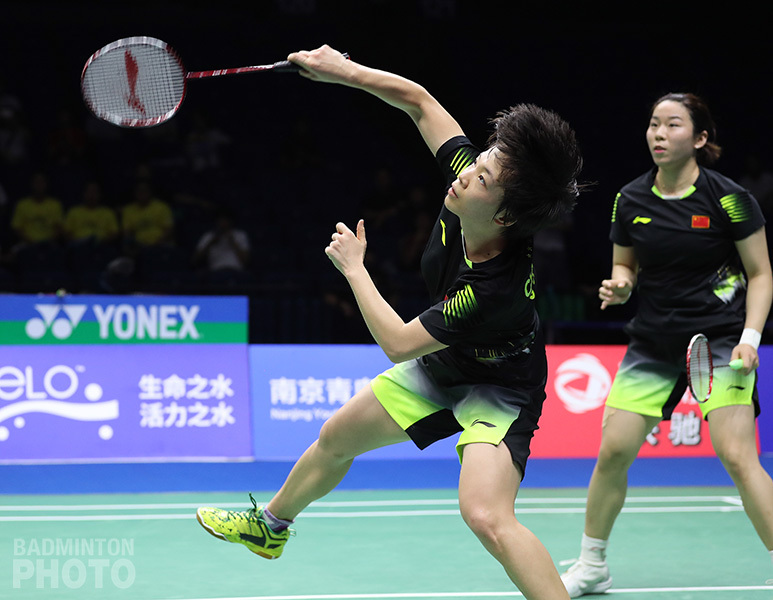 ASIAN GAMES 2018 Women’s Doubles Preview – Japanese empresses to reign supreme? Japan is the new power in women’s doubles but with the Asian Games propensity for not following script, let’s look the various pairs who might get a look in at this gold. 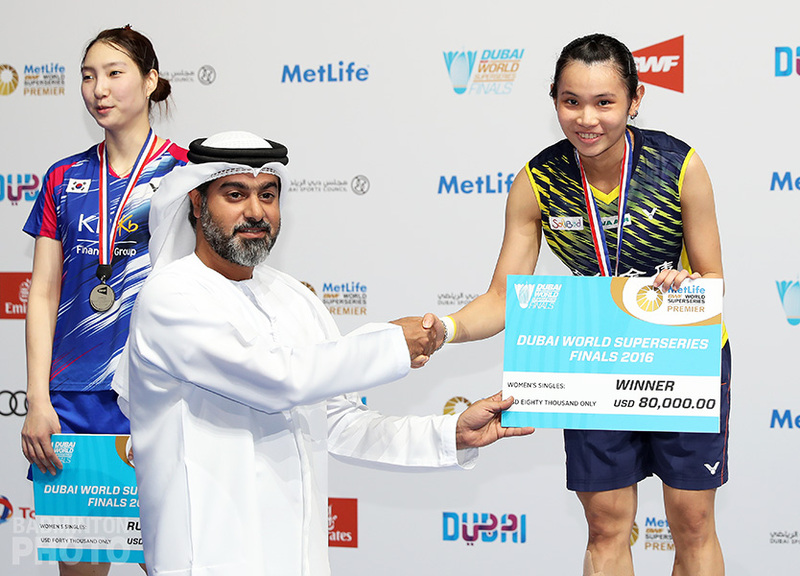 Japan’s preparation for the Olympic cycle on the road to Tokyo 2020 is going spectacularly well, especially in badminton’s women’s doubles discipline. 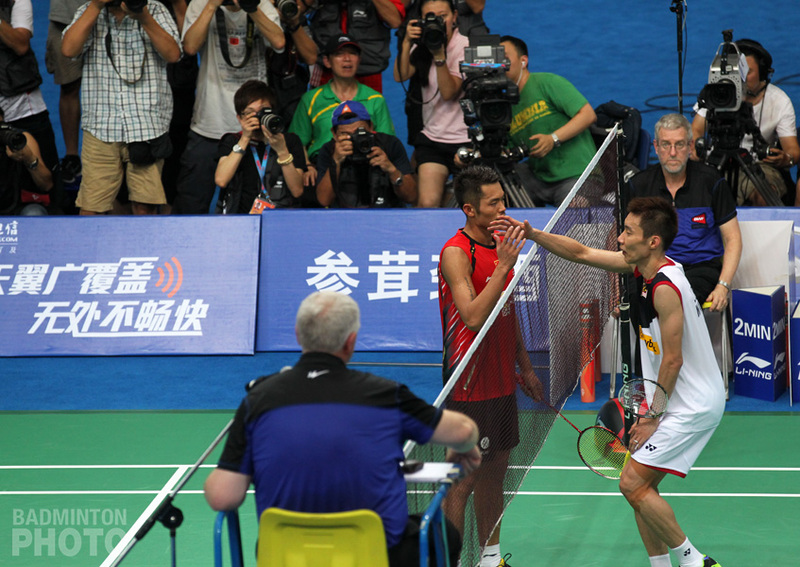 They have six world-class pairs in the top 15 of the BWF rankings as of the Jakarta Opening Ceremonies. 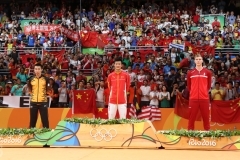 Three of them won the Gold, Silver & Bronze medals at the World Championships held earlier this month. Olympic champions and former world #1s Misaki Matsutomo / Ayaka Takahashi (pictured right) fell short in the Asian Games final four years back in Incheon and had to settle for silver. Winners of the Malaysia Open and Indonesia Masters titles this year, the Japanese are certainly among the favourites to reach the final once again. Yuki Fukushima and Sayaka Hirota (pictured above) have done everything right in the lead-up to the Asian Games. They won the German Open and were finalists at the All England Championships in back-to-back weeks earlier this year. The Japanese duo defeated compatriots Matsumoto/Nagahara to win the Indonesia Open but lost to the same team in the World Championship final to come away with their second consecutive silver medal. In the thrilling battle, which lasted for 1 hour and 35 minutes, Fukushima & Hirota were leading 20-18 in the decider but they squandered two match points & lost the next four points in a row. Bewildered that you can’t find the names of new World Champions in the draw? That’s because Mayu Matsumoto & Wakana Nagahara were ranked outside the top ten at the time of the entry deadline and were not considered to be a part of the Japanese team selected to play in Jakarta. In fact, even after including 13,000 ranking points for winning the Worlds, they are only the fourth highest ranked team from the island nation! In case of an all-Japan final, Fukushima/Hirota have the upper hand with a 4-2 head-to-head record over their compatriots, including wins in both their matches this year. 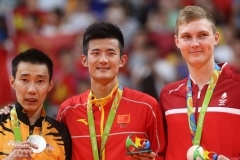 In fact, those last two victories just be perfect portents to an Asian Games gold medal match, as they came at the Badminton Asia Championships for the continental title and at the Indonesia Open at what will be the same venue used for the Asiad. Ayako Sakuramoto & Yukiko Takahata have won six tournaments this year: in Singapore, Switzerland, New Zealand, Australia, Canada and most recently, at the Akita Masters in Japan. However, the BWF tour-leading title winners are not a part of the squad as an NOC can send a maximum of two pairs in each doubles discipline The same applies to the current world #5 ranked pair & 2018 World Championship bronze medallists. Only half of that pair is event taking part in the team event in Jakarta. Defending Champions from the Incheon Games, Nitya Krishinda Maheswari / Greysia Polii are not playing together anymore. But while Maheswari was not selected to be a part of the Indonesian team, Polii and her current partner Apriyani Rahayu (pictured bottom) have won the India and Thailand Open titles this year. It remains to be seen whether the familiar home conditions will serve as an advantage or additional pressure for the World Championship bronze medallists. The second pair from the host nation will be Della Destiara Haris & Rizki Amelia Pradipta (pictured above), who also reached the quarter-final stage at the Worlds. Haris and Pradipta just happen to claim the impressive distinction of being the only pair who is undefeated against last year’s World Champions. Speaking of the 2017 World Champions, Chen Qingchen / Jia Yifan (pictured) of China reached the final at two tournaments in Malaysia but ended as runners-up both times. 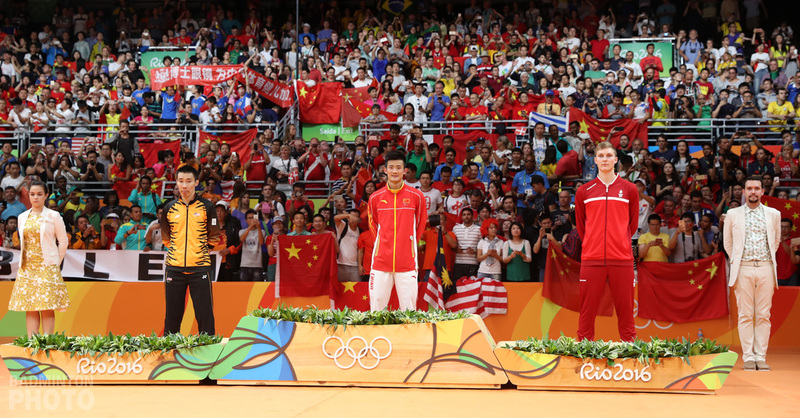 The former world #1s were also unable to defend their title in Nanjing, losing a perilously close pair of 21-23 games to Indonesia’s top pair Polii/Rahayu. China may have three pairs in the top 15 but they have failed to maintain their stranglehold on women’s doubles so far this year. 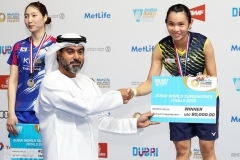 In addition to returning empty-handed from the Worlds for the first time since 1980, they reached the halfway point with just one Super 100 title and one Super 300, courtesy of their second pair, U.S. Open champions Tang Jinhua / Yu Xiaohan. Reigning Commonwealth Games Champions Chow Mei Kuan / Vivian Hoo have separated and are playing with different partners. Chow and Lee Meng Yean (pictured left) have been selected to represent Malaysia in Jakarta but Incheon bronze medallists Hoo and Woon are not even to make the trip to this year’s Asiad. The first time India’s Ashwini Ponnappa played in the Asian Games, she was the junior in the side to Jwala Gutta back in Guangzhou, 2010. N. Sikki Reddy and Pradnya Gadre were part of the Indian contingent at the 2014 Asiad, where Ponnappa played just one team match. The tables have turned now; the more experienced Ponnappa needs to be the anchor when playing with Reddy. They’ve got the skills and power in their combo, but all the pieces need to fall in place for a medal position. The selection of the second Indian duo of Rutaparna Panda & Arathi Sara Sunil involved controversy, court cases and conflict of interest allegations. Can the Chinese & Indonesian teams manage to spoil Japan’s chances or will the Japanese continue their dominance as expected with a one-two podium finish? Umang is a law student & consultant from Mumbai, India. He is an Olympic sports aficionado & amateur archer. When not watching television or listening to podcasts, he procrastinates about writing on badminton, tennis & archery. You can contact him at @Umang20294 on Twitter.